Airwheel Z8 Lightweight Electric Scooter Makes Its Debut in 2017. Abstract: At the beginning of 2017, Airwheel Z series welcomes another new model—Z8. So far there are three models in Z series, Z3, Z5 and Z8. Different from traditional scooters, Airwheel Z8 small wheel electric scooter is cooler and more fashionable with the bright colour design. Happy life always comes from a happy mood. Airwheel electric scooters make every day of people relaxing and free. Naturally, they can be happy to face the life. 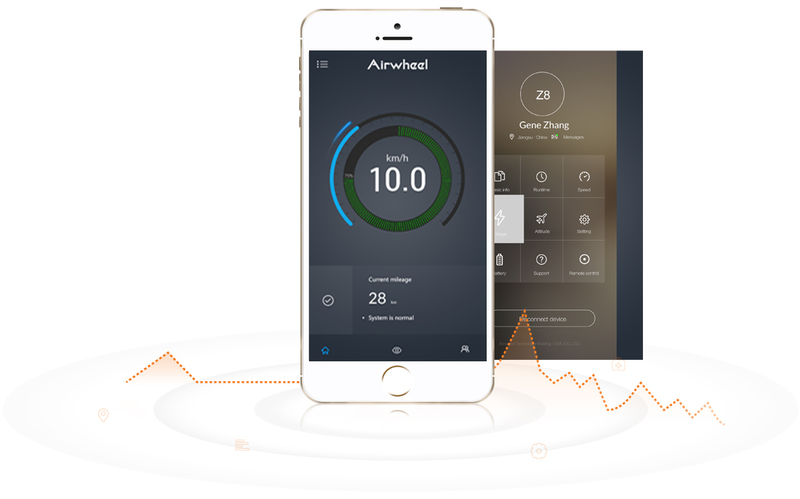 Airwheel Z8 makes its international debut in 2017 and it saves a host of individuals' troubles in daily travel. Z8 has three folding structures in the body design, namely the handle, the junction of the main frame and the operating arm. 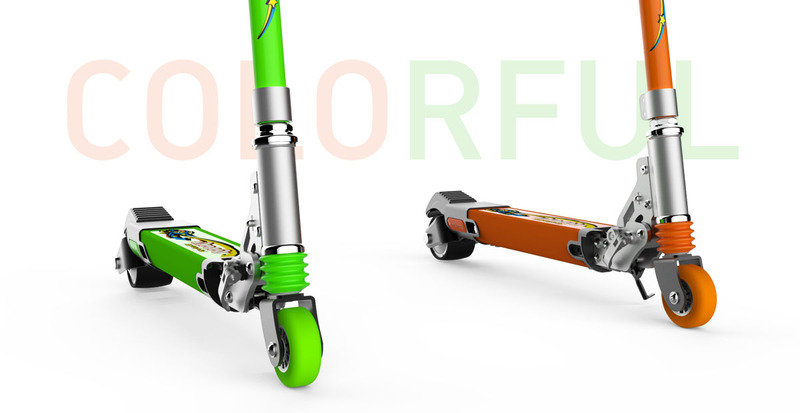 The adjustable operating rod of Airwheel Z8 lightweight electric scooter ensures a comfortable riding, suitable for a wide range of people including kids. That is to say, Airwheel Z8 can be easily carry on whether plane, train or bus. In addition, Z8 considers every single detail to make sure a smooth and comfortable riding experience. It is equipped with imported lithium ion batteries with more storage capacity than ordinary batteries. The pedals of Airwheel Z8 small wheel electric scooter are anti-skidding and frosting. The headlight and taillight can make them cool and unique on the streets when users ride on Z8. And the lights ensure the safety of riding in evenings. Its 3.2 inch tires allow it to ride along any route, ensuring maximum stability and adhesion in all ground conditions, even on sand, thanks to the specially designed tread. Also, there are four different colours available, including bright colours like green and orange and the classic colours, like white and black. A good product must be related to intelligent technologies, and a star product must be perfectly integrated with intelligent technologies. The specifically developed mobile phone App can be connected to Z8 colourful electric foldable scooter anytime to know the speed, residual power and mileage etc. More importantly, the App fault self-diagnosis guarantees rider's safety before travelling. Highlighted by a dashing red power icon with alert function, the metal power button delivers refined look and longer life expectancy. 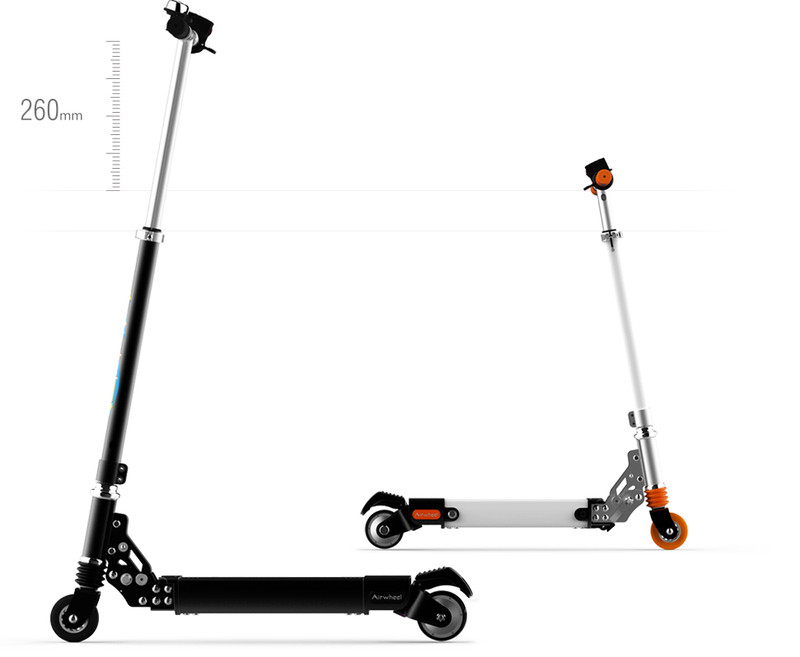 Power level indicators will fade one by one with lowering power level. .
Previous：Airwheel Mini Electric Scooter Gives The Clean Environment Back To The Public.